HanDee Nail Tips: A Tessellating Design! Hi guys! 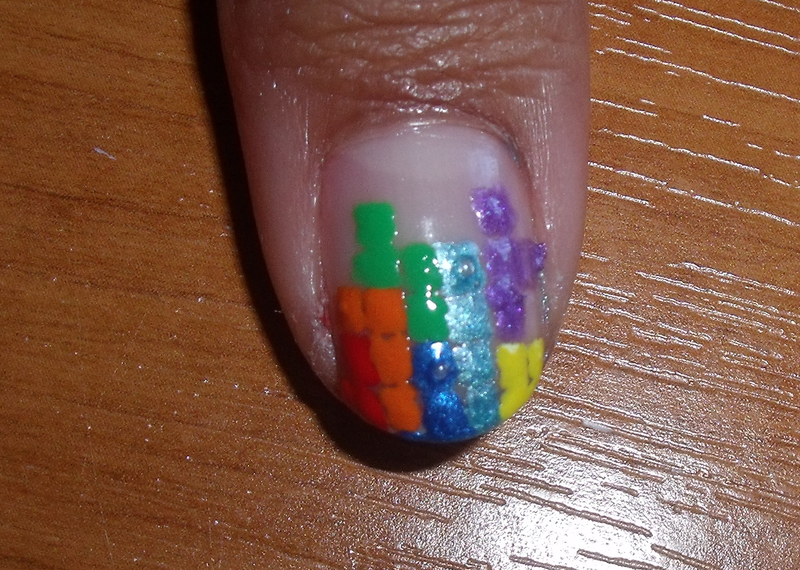 Here are some Tetris nails that I hope brighten up your Monday! This design is really simple and doesn't take that long to do as the nail varnish dries very quickly! I decided to go with the standard Tetris colours, looked up the shapes and then went crazy with the order! Just start at the top of your nail and work towards the base slotting in the shapes as if you were playing Tetris! Make sure you paint on the individual squares of each shape so they look like real Tetris pieces. Then finish off with a cover coat of course! What do you think? What's everyone wearing on their nails at the moment?